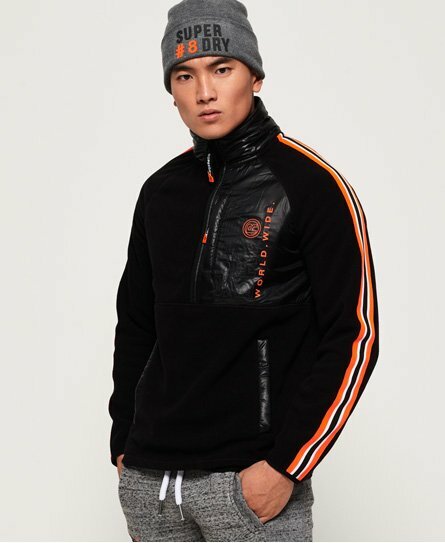 Superdry men’s Mountain Polar fleece half zip jacket. The perfect addition to your wardrobe this season, featuring a high neck with a half zip fastening, a cosy fleece fabric throughout and three front pockets. This fleece also features a contrasting panel on the chest with a Superdry logo, stripe detailing on the sleeves, and an elasticated hem and cuffs. The Mountain Polar fleece half zip jacket is finished with Superdry logo badges on the sleeve.